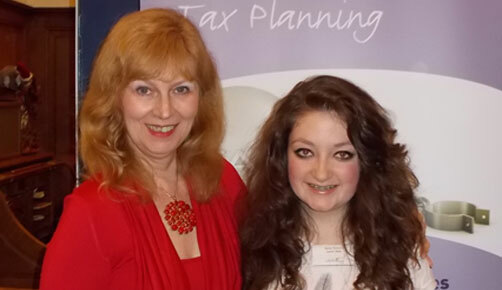 Rachel Thomson (16) won the Thomson Cooper West Fife Young Entrepreneur Award of 2012 with her quirky designs for T-shirts. Thomson Cooper awarded Rachel a prize worth over £10,000 and Panoply Events was delighted to provide events management services as part of the prize package. Rachel is pictured (right) wearing one of her creations. Panoply Evens wishes Rachel every success in the future and looks forward to working with her.